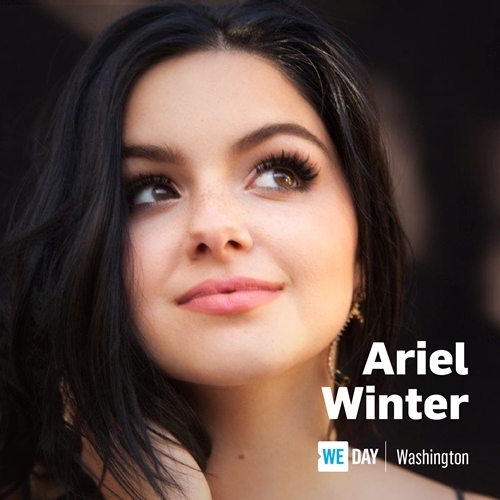 “Modern Family” star Ariel Winter got pushback this week after she reposted her cousin’s GoFundMe link on her Twitter page, asking her fans to “please consider donating to his recovery fund.” While many said they were sorry for her cousin’s illness, some suggested she could pay for the $15,000 fundraiser with her ABC TV show salary. “Surely you’re able to throw some if not all of the $15k in,” one person wrote on Twitter. Winter’s co-star Sarah Hyland found herself in a similar situation last December when she posted a GoFundMe after her cousin died in a car crash, the Wrap reported. Winter donated $2,500 to Hyland’s GoFundMe at the time and Monday Hyland returned the favor, donating $2,500 to help Winter’s cousin who is reportedly suffering from Haemophilus influenza, according to the GoFundMe page. Sarah Hyland is helping out a member of her (modern) family. 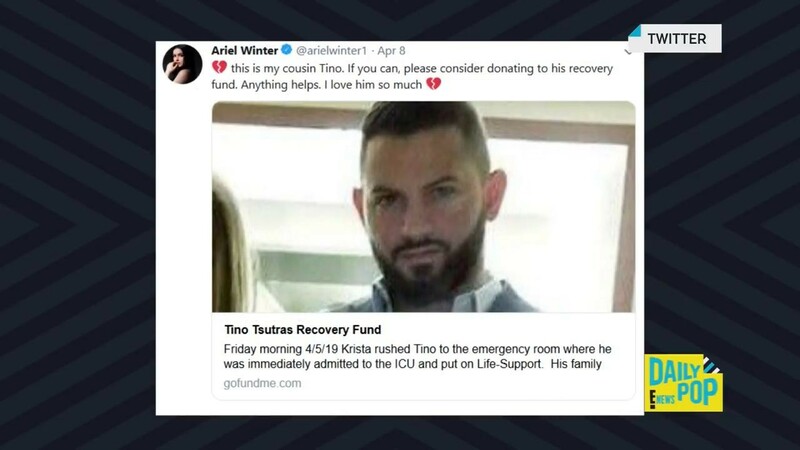 In a discreet act of kindness, the actress donated to Modern Family co-star Ariel Winter’s GoFundMe account, which was set up to help pay the medical bills of Winter’s sick cousin Tino. According to a list of recent donations, Hyland wrote a check for the hefty sum of $2,500, helping the total amount raised reached an impressive $16,000 in less than 24 hours. Hyland can likely empathize with what Ariel’s family is going through considering her ongoing battle with kidney dysplasia. For the past year, the star has been in and out of the hospital due to issues with her kidney, in addition to endometriosis. Our thoughts go out to Ariel and her family during this difficult time. Ariel Winter, 21, is looking better than ever and apparently, she’s feeling it too! The Modern Family star is head over heels for her boyfriend, Levi Meaden, 31, and a source told us just how positive the relationship has been for the stunning star. “Ariel Winter is happier than ever with boyfriend Levi Meaden. She looks great, feels great and is a really happy and good place. She realizes she surrounds herself with great people and is in a really happy and healthy relationship. 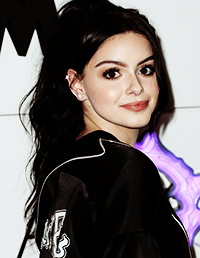 Her love with Levi is real and true,” a source close to Ariel revealed to HollywoodLife EXCLUSIVELY. Fans of the actress know that it hasn’t always been an easy road for her, especially after a rocky relationship with her parents that led to an emancipation. However, Levi’s love has proven to be the ultimate support system. “Ariel struggled so much with everything she went through with her mom and she is so thankful to find a partner like Levi who dotes and loves on her constantly,” our source explains. And, while Ariel is beautiful at any size, she’s oozing confidence these days as she gets in the best shape of her life. “Ariel’s always been a confident girl, but every since her breast reduction and the fact that she’s lost so much weight, she’s even more confident than ever. She’s so comfortable in her skin.” HollywoodLife reached out to a rep of Ariel’s for comment. In case you weren’t already convinced that Ariel and Levi are the cutest couple in Hollywood, an eyewitness source caught the couple in Las Vegas and told us all about their romantic getaway. “They recently took a vacation to Las Vegas together for the opening of The Palms Resort & Casino and decided to make a little romantic couples getaway out of it,” the insider revealed. “They acted like normal people and never stayed out late at all. They even left around 1:00 a.m. the second night here, missing Cardi B because they wanted to just be together. “They didn’t leave each other’s side all weekend,” the source told us. Oh, lovebirds! Ariel and her beau have been dating since November of 2016. The pair are currently living together and never fail to share plenty of adorable PDA snaps together for their beloved fans! Mark April 18, 2019, on your calendar and join us at Tacoma Dome for an unparalleled event bringing together world-renowned speakers, A-list performers, and tens of thousands of youth to celebrate a year of action that transformed communities and changed lives.